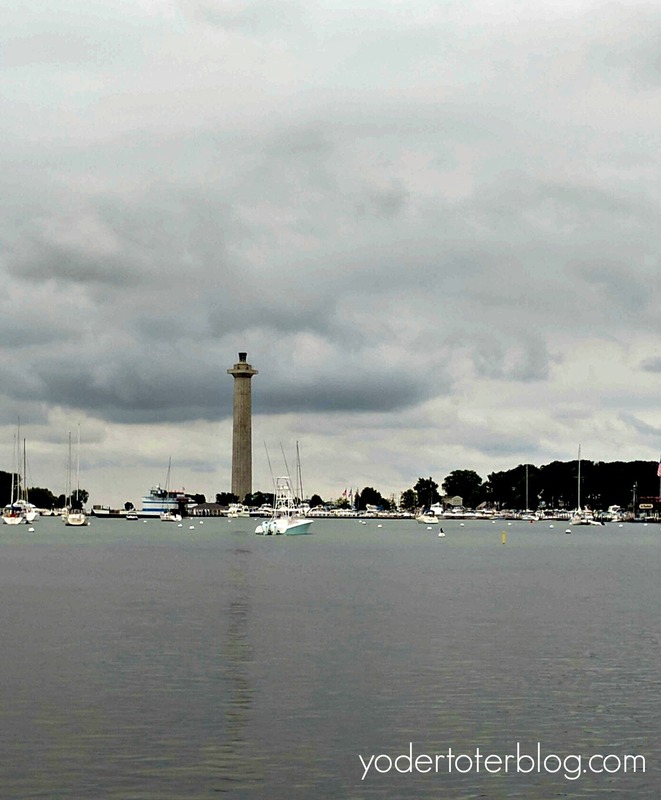 At 33-years-old and living in Ohio nearly my entire life, it felt like a TRAVESTY that I hadn’t been to Put-in-Bay. 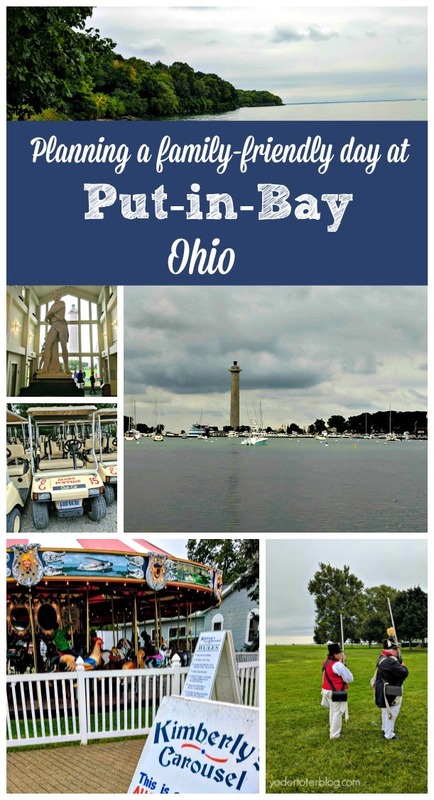 Put-in-Bay is a small city on South Bass Island, Lake Erie, that’s probably most well-known by the locals for its flourishing nightlife. 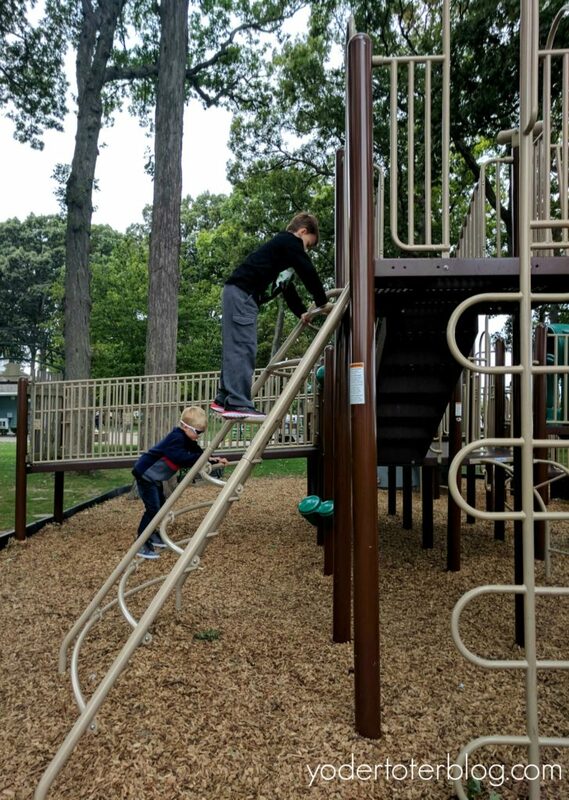 However, visiting with our children showed me that it can be kid-friendly! 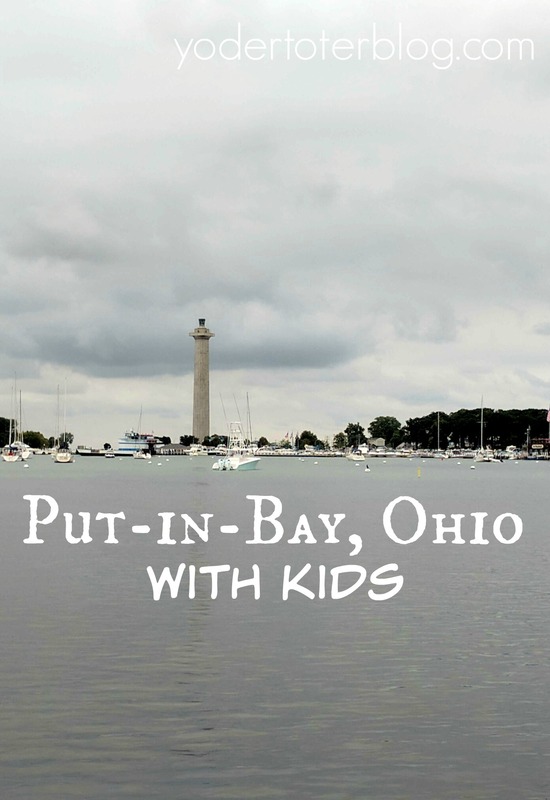 Today, I’m sharing how you can have a family fun day at Put-in-Bay (I’m a poet and I know it). 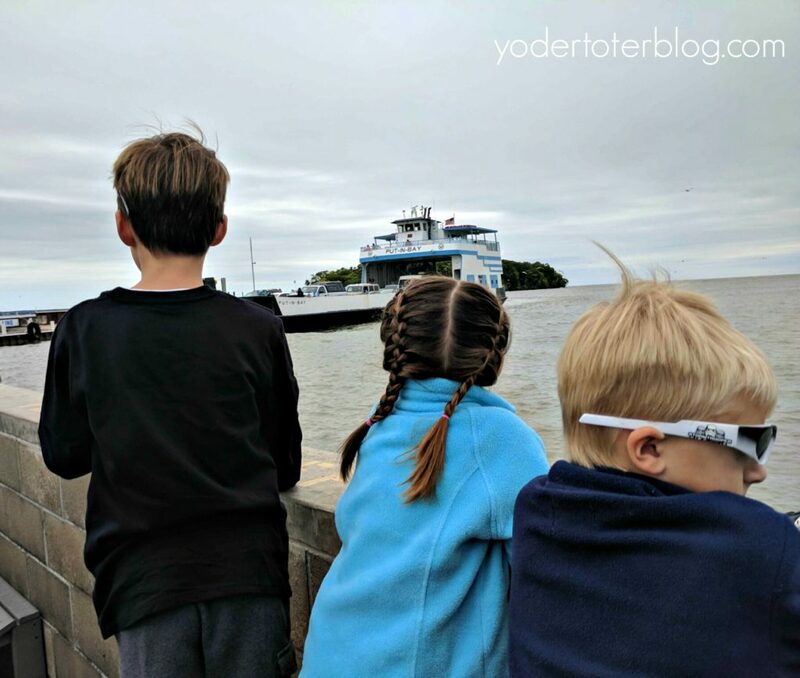 Miller Ferry is an easy and affordable option to get to Put-in-Bay. 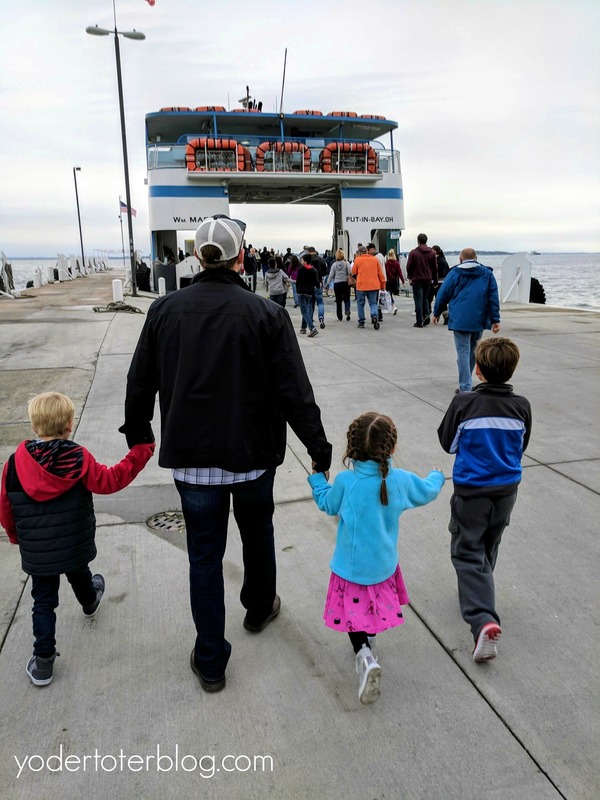 As a cost-conscious family, a quick Google search revealed that Miller Ferry is less than HALF the cost of their competitor. It’s hard to justify paying more for a boat trip that only takes 20 minutes! We found the ferry terminal to be convenient and all day parking was plentiful and only $5. Also, there are clean restrooms at both terminals. 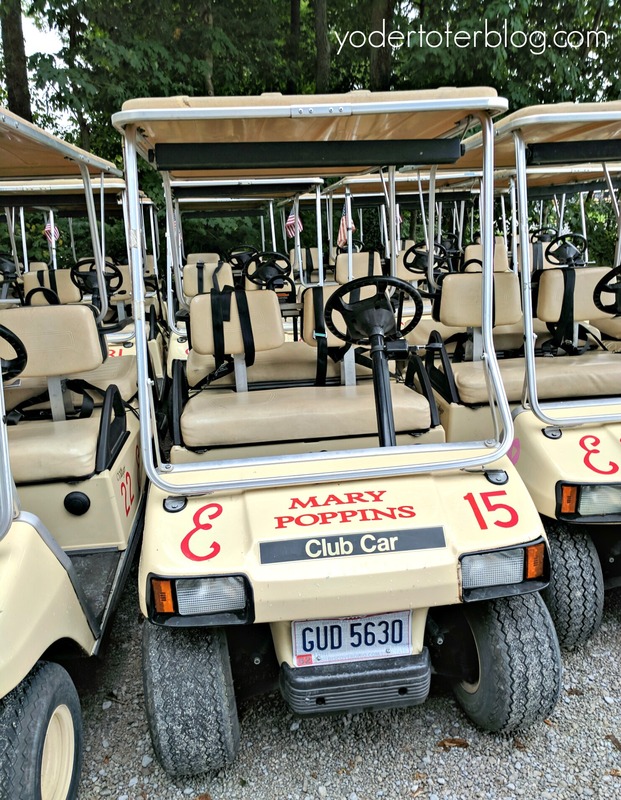 Located just steps from the Ferry Terminal- E’s Put-in-Bay Golf Carts was a convenient option for our day trip to Put-in-Bay. We arrived at a very busy time (noon) and yet it only took about 5 minutes for me to check-in for my pre-reserved golf cart. E’s has a large inventory of 2, 4 and 6-person golf carts. I recommend doing this FIRST thing when you arrive. I’m not a prude, but there are some things I’m not ready to explain! We noticed that the crowd changed quickly around 3 pm. 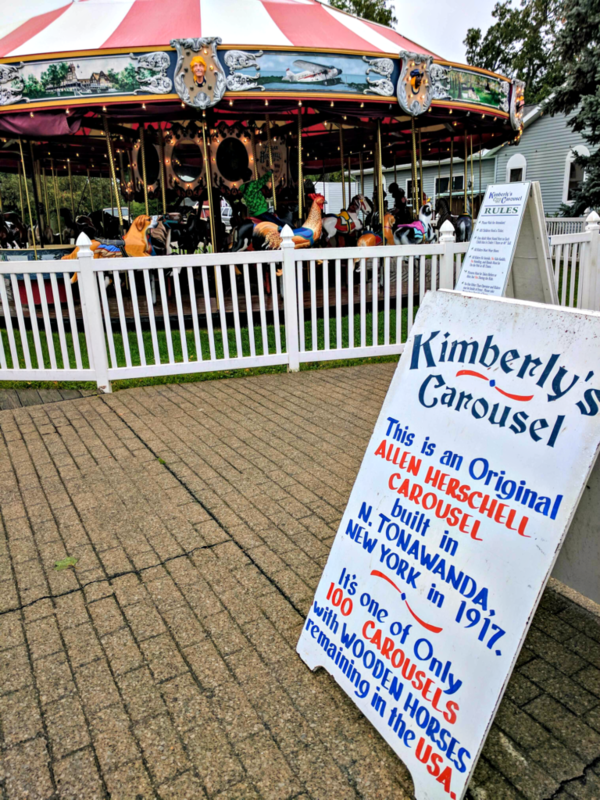 So head here for an early lunch, let the kids play on the pristine playground with water views, and take a spin on Kimberly’s Carousel. Families visiting Put-in-Bay, Ohio should not miss the Perry Victory & International Peace Monument. 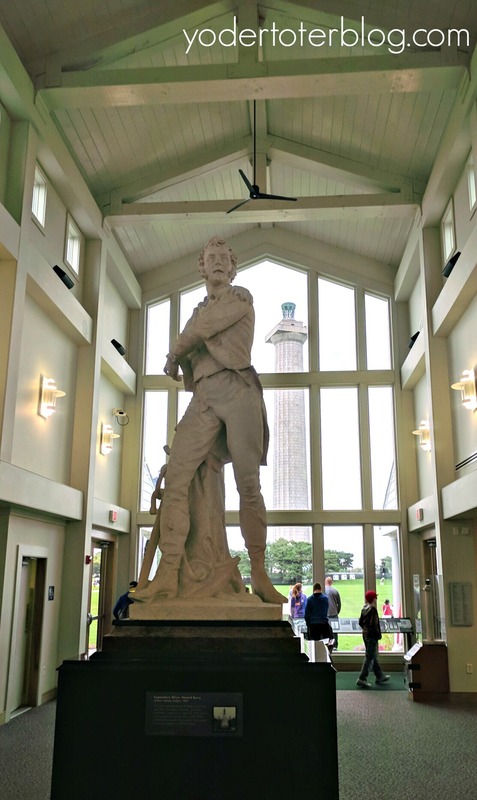 The 352-foot monument and Visitor Center commemorates the Battle of Lake Erie, which took place during the War of 1812. We were lucky enough to arrive just as a Ranger-led educational session was beginning, but the Visitor Center alone is a wealth of information on Put-in-Bay’s role in the war. The International Peace Monument is the only Peace Memorial in the USA’s National Park Service. It commemorates the long-lasting peace between Canada, the USA, and the United Kingdom. These three flags still fly outside the memorial. South Bass Island offers two family-friendly State Parks- South Bass State Park and Oak Point State Park. 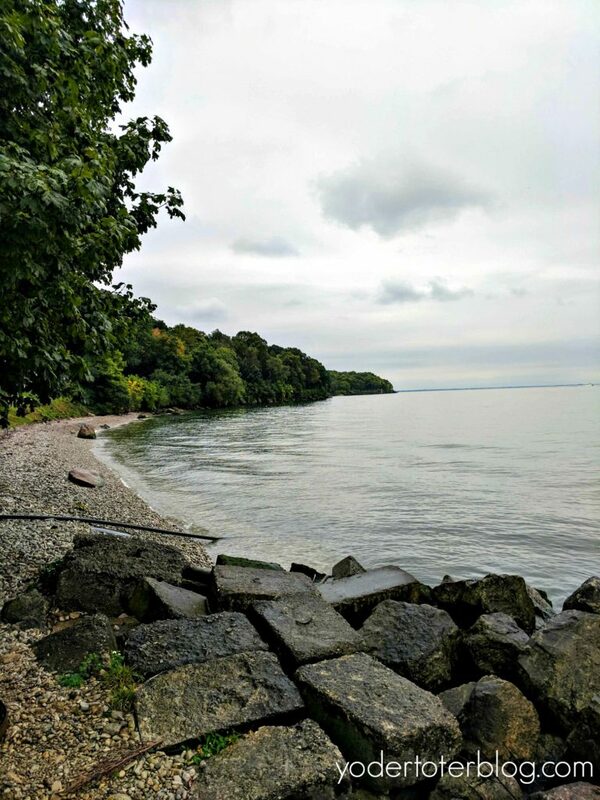 Oak Point State Park is the state’s smallest state park at only an acre and a half, but it does pack some gorgeous views of Put-in-Bay and Perry’s Monument (even on a cloudy day). This would be a perfect spot for a family picnic. South Bass State Park is more of a full-service park that offers camping and a public boat launch. They also have four cabents, which look like a cross between a yurt and a cabin. We’d like to go back and rent one for a weekend of family-fun! 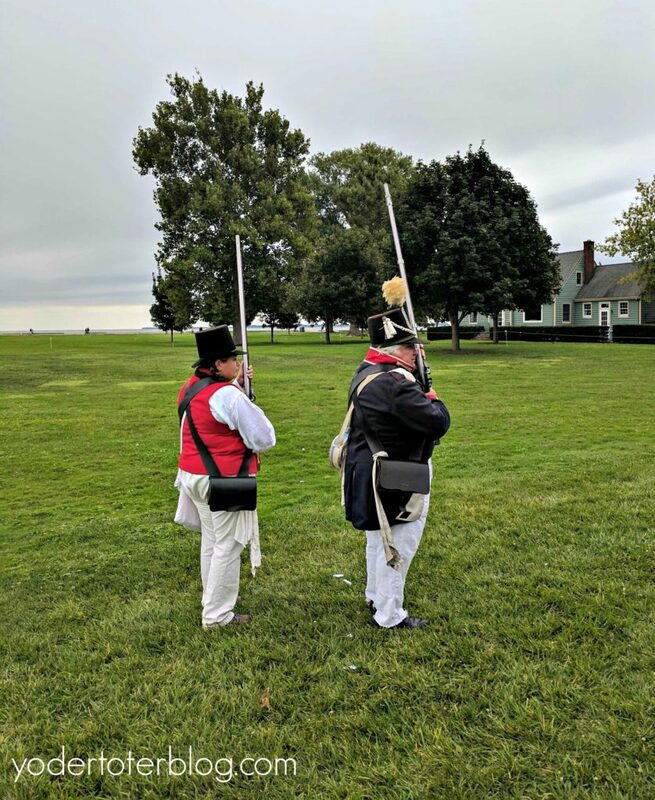 Have you been to Put-in-Bay or South Bass Island? What do you recommend for families to do?